Mostly, everyone nowadays has heard of probiotics – but do you really know what they do for us and why we should be consuming them? Over the past few months Zuzana and I have been quite consistent on always making sure there are some seeds or nuts soaking or sprouting. Either to make some fresh homemade nut milk, salad dressing, or my favourite raw coconut almond yogurt – which is packed with probiotics! Okay, so enough rambling… what are probiotics? and why should you be eating them? 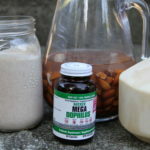 As I mentioned above that they aid our intestinal health – probiotics thrive in the intestinal tracts, keeping things running smoothly and regularly, and help the digestion of food. Probiotics are also said to help with the prevention of colon cancer, as they can maintain a healthy colon and prevent infections from spreading there. There are other benefits to adding probiotics to your diet, especially if you are or have recently been taking antibiotics to treat a medical condition. Antibiotics, as their name suggests, are designed to kill bacteria. Unfortunately, they can’t tell the difference between good and harmful bacteria. Probiotics can help to restore those good bacterias in your body that you may have killed. So it’s recommended to cycle with probiotics, after you have taken any antibiotics. 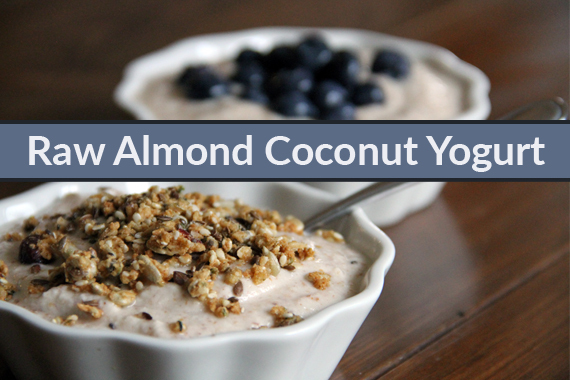 Your best source of probiotics is yogurt, so that is why we created this delicious Raw, Vegan yogurt! Plus, if you are anything like me, I think when I cut dairy – the only thing I missed was Greek yogurt. You know, that cold, thick, creamy, sour goodness – Yum! Now I indulge with this homemade recipe, and find it more satisfying. This yogurt is packed with healthy probiotics, fat, proteins and so much more! First, soak your raw almonds in water for 24 hours. Soaking the nuts is crucial as this will activate the dormant enzymes and release the nutrients. 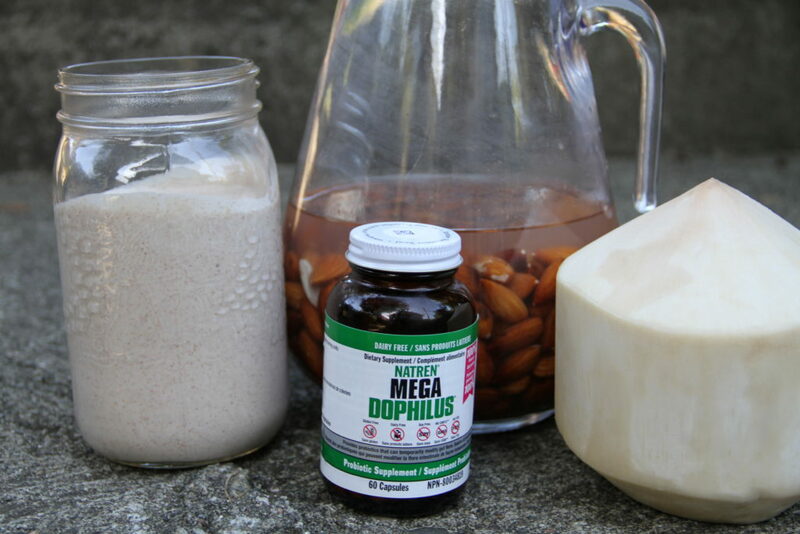 Add soaked almonds, young coconut meat (from 2 coconuts), coconut water (from 1 coconut), and probiotics to the vitamix or blender. Keep in a warm place ( we put ours on a countertop or inside a kitchen cupboard) for 12-24 hours, depending on how tangy you want it and also on the temperature it's stored in. It will be ready when the mixture looks little foamy and little air pockets start to appear. The smell should be strong but pleasant. Optional - add in spices such as cinnamon, cardamon etc. Or sweeten with dates, honey, or maple syrup. simply top it off with some fresh fruit, cocoa nibs, raisins, goji berries, or raw granola. add some protein powder to it (for a different flavour). add it to smoothies to give it a sour taste. use it to create some salad dressings.